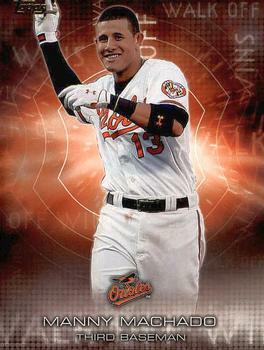 It’s been a week since the release of the 2016 Topps Series 1 set and I thought I would share my opinions. 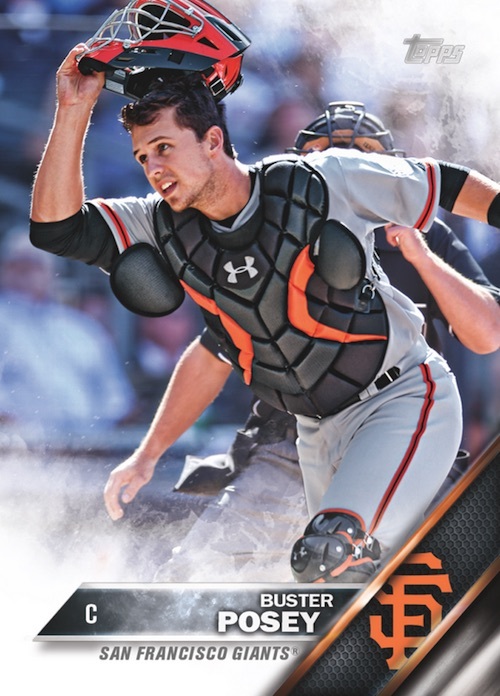 The 350-card base set features veterans, rookies, Future Stars, Topps All-Star Rookie Team members, League Leaders, World Series Highlights, and team cards. I lost count of how many packs I have bought but I am only 8 cards from a complete so it’s safe to say I am sort of a fan. After reading various blog reviews I may be in the minority here though? 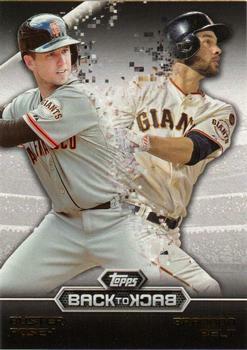 I can appreciate the fact Topps is trying something new here and only have a few features I am not a fan of. My first issue would be the logo only being partly visible. I would love to see the whole logo but wouldn’t want it to be any smaller though. If somehow the area the logo is located in was a little bigger I think it would be an improvement. My second issue would be the cloudy look on the top corner and bottom corner. I am not sure it needs to be removed entirely but maybe a little less cloudy? 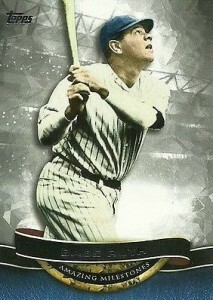 For the first time ever Topps has removed the border from their flagship product. 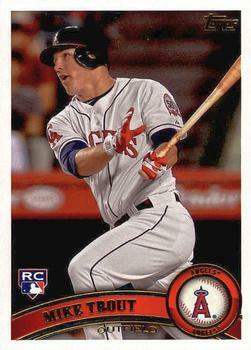 I love the no border look, but would not want Topps to entirely abandon borders in the future. Wouldn’t be upset if borders returned next year but for this year I love the look. The photography I think is great! If I could change one thing it would be to have more of the player in the shot. I think there are too many photos that are close up. Many don’t like the blurry background but I read on another blog review (forgot which one?) 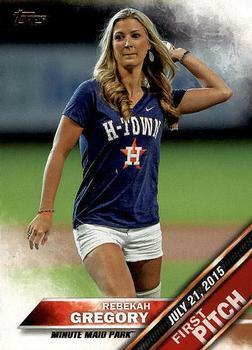 that the photos were not photo-shopped by Topps. 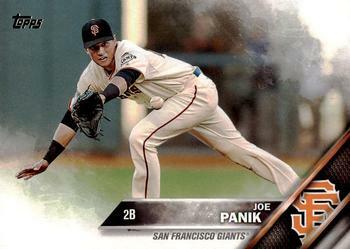 Being a San Francisco Giants fan I love pulling them from packs and two of them have great action shots! 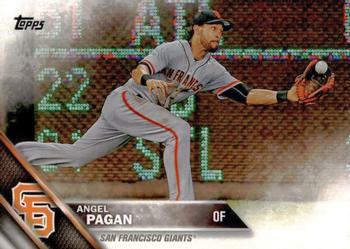 The parallel options in 2016 Topps include Rainbow Foil, Gold (#/2016), Vintage Stock (#/99), Black (#/65), Pink (#/50), Clear (#/10), Framed (one per case), Platinum (1/1), and Printing Plates (1/1). 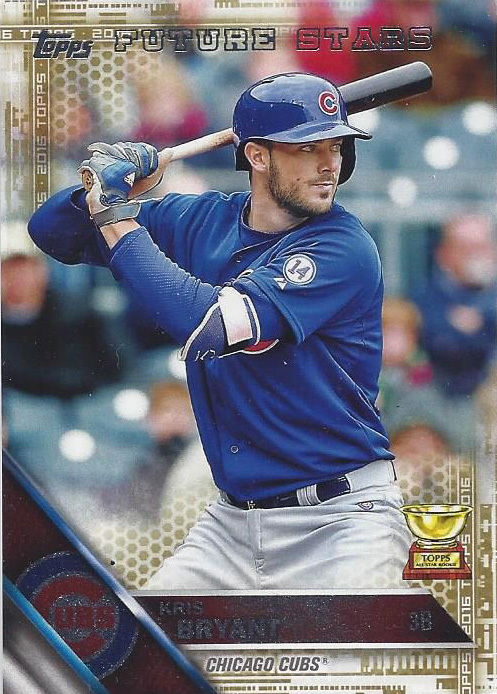 I have pulled a few Rainbow Foil and Gold borders, including this Kris Bryant. Some of the main inserts in 2016 Topps that I have pulled or acquired include 100 Years at Wrigley (25 cards), Amazing Milestones (10 cards), Back-to-Back (15 cards), Berger’s Best (65 cards), First Pitch (20 cards), MLB Debut (40 cards), Perspectives (25 cards), Pressed Into Service (10 cards), The Greatest Streaks (10 cards), and Walk-Off Wins (15 cards). 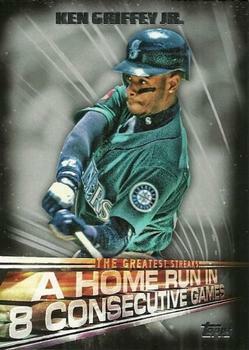 I like the MLB Debut, The Greatest Streaks, and Amazing Milestones the most. 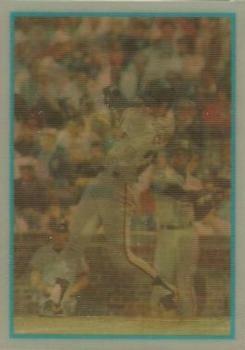 I love the photography on The Perspectives but I am not a fan of the writing on many of the cards. It seems to get in the way sometimes! The rest of the inserts are okay and I’ll probably end up trying to acquire them but won’t be going out of my way. 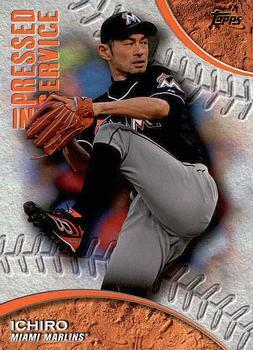 As far as I am concerned it is one of my favorite Topps sets of the 2000’s, second to the 2015 Topps set. What do you think? 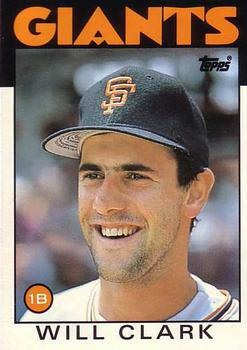 I have quite a few Will Clark cards to sort out and I am hoping to finally get my collection organized. What better way to move the project along then post about it. 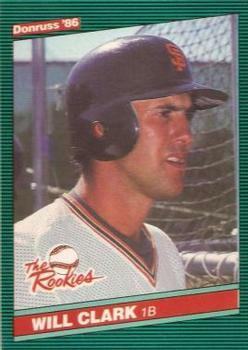 So I will start with my Will Clark cards from 1986 and a little on how he performed in his first year. 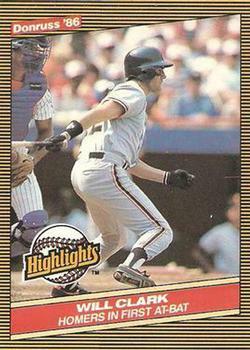 Will Clark made his Major League debut on April 8, 1986 with the San Francisco Giants on the road against the Houston Astros. 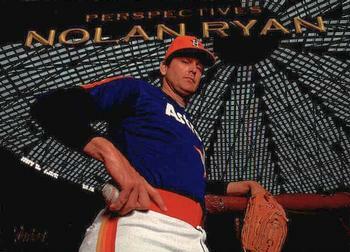 In his first at-bat off the legendary Nolan Ryan, he hit a solo home run (see video below). 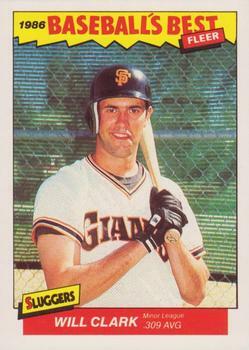 At the time he was the 53rd player in history to achieve that feat. 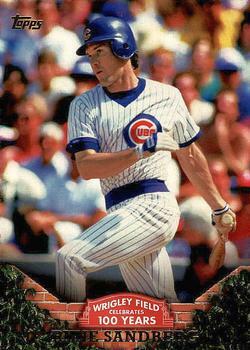 Clark played in 111 games during his rookie season, batting .287 with 11 home runs and 41 runs batted in. 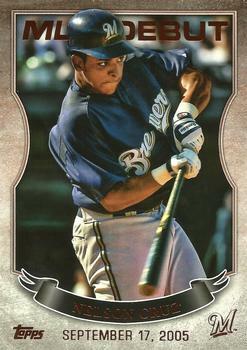 He finished 5th in the National League Rookie of the Year voting behind Todd Worrell (St. Louis), Robby Thompson (San Francisco), Kevin Mitchell (New York), and Charlie Kerfield (Houston) and just ahead of Barry Bonds (Pittsburgh). 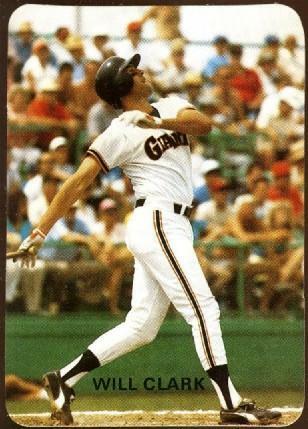 The San Francisco Giants finished third in the National League West with a 83-79 record (52-47 in games he started and 57-54 in games he appeared in). 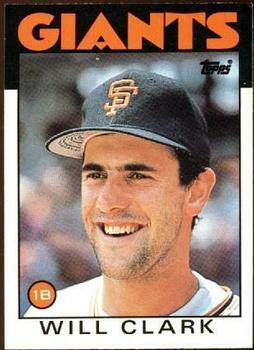 There is some question as to what year the 1984-1989 O’Connell and Son Ink #208 Will Clark was actually produced. 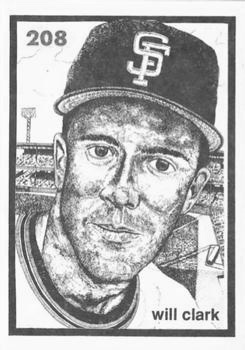 It is part of a 244 card set put out by artist T.S. 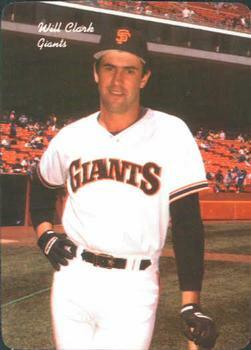 O’Connell in the 1980’s. 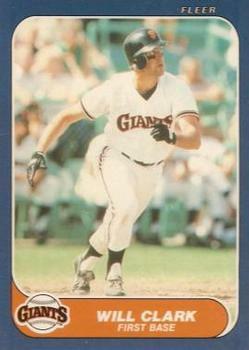 I read that he produced about one series a year starting in 1984 and the Will Clark was part of Series #7 which would put it in 1991. If anybody out there could clear up this confusion that would be great! 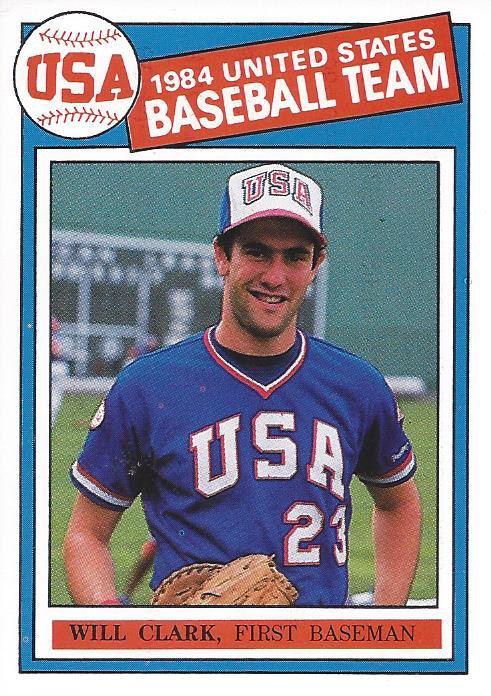 Despite batting .393 with 13 home runs and 35 runs batted in for the U.S.A. Olympic baseball team in 1984 he was not included in the 1985 Topps set with other Olympic standouts like Oddibe McDowell, Mark McGwire, and Cory Snyder. If you have any of the missing cards I have listed above I would love to hear from you – jlculley@gmail.com.